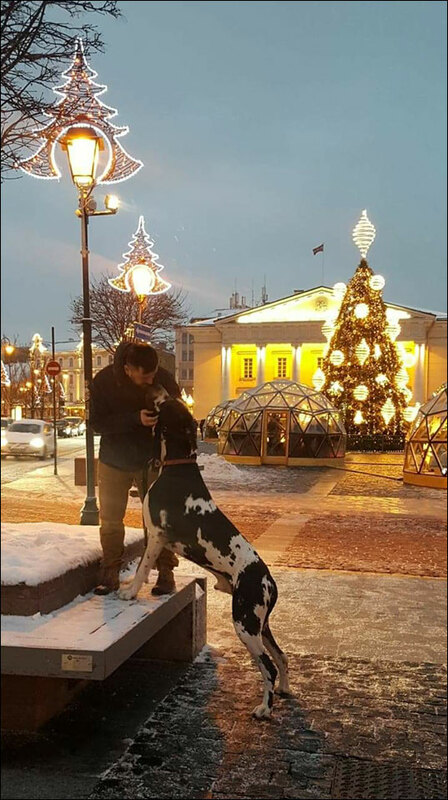 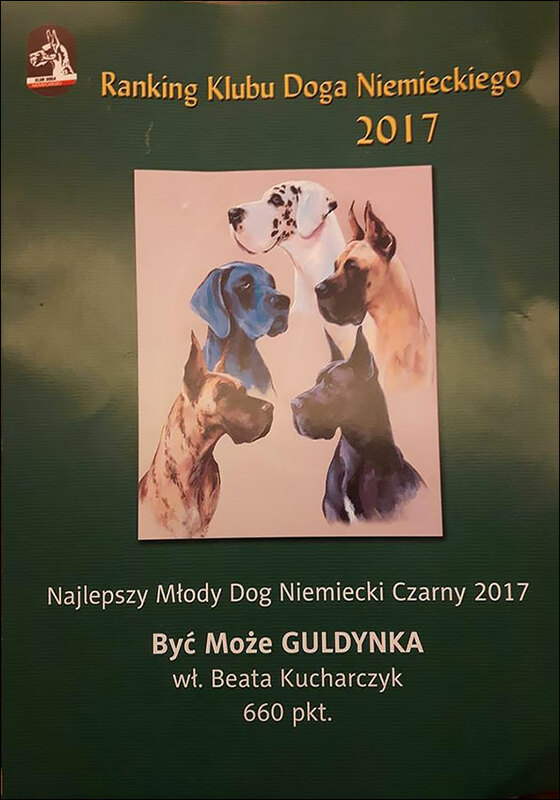 Two international dog shows in beautiful scenery of winter Vilnius where Być Może GZYGZAK has finished Interchampion title!! 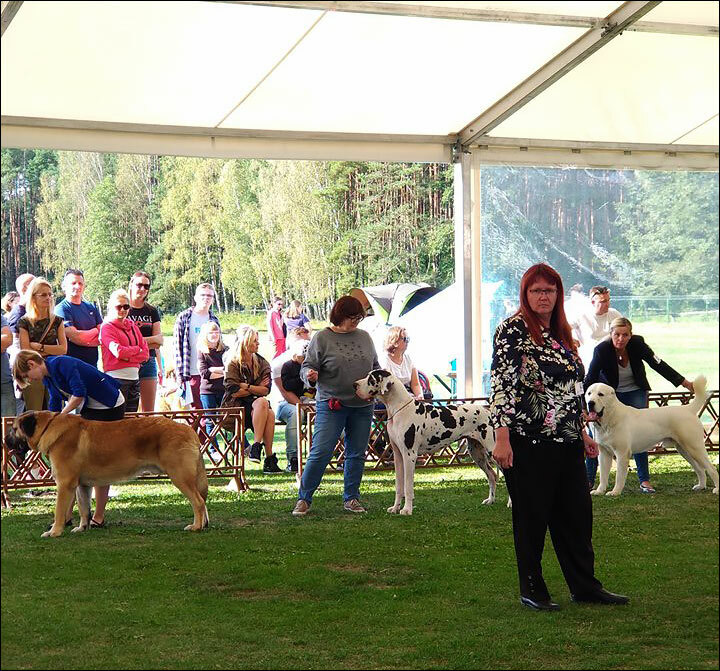 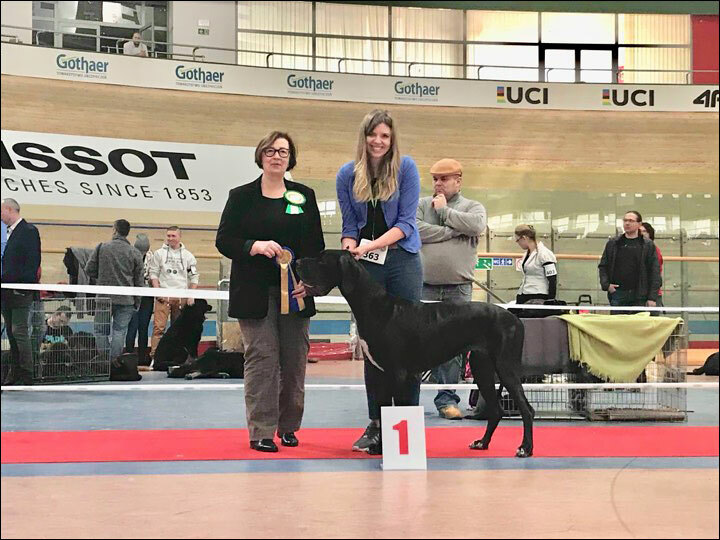 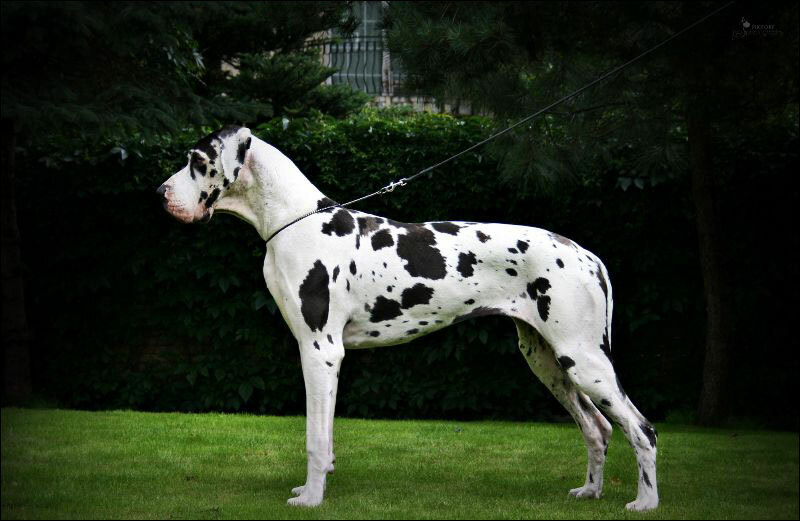 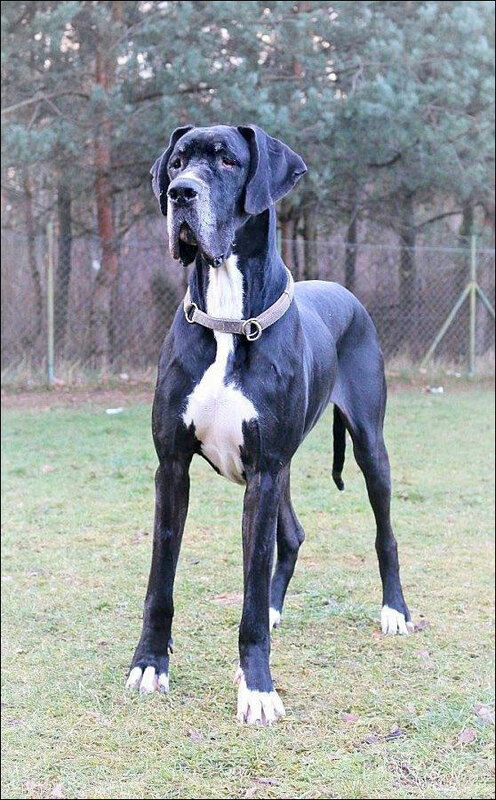 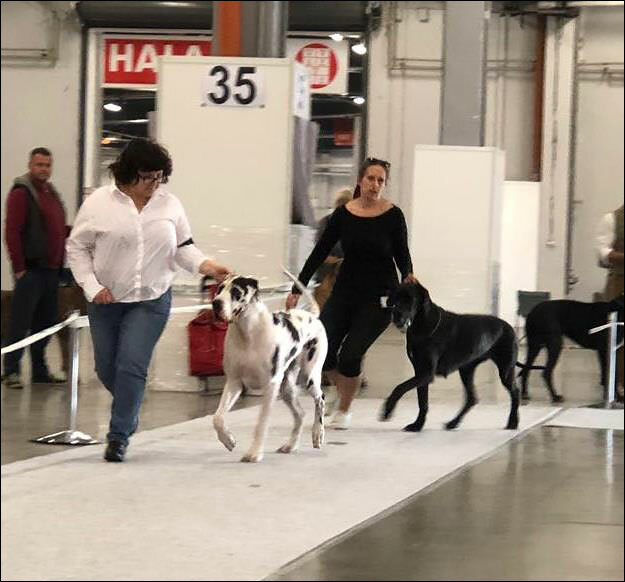 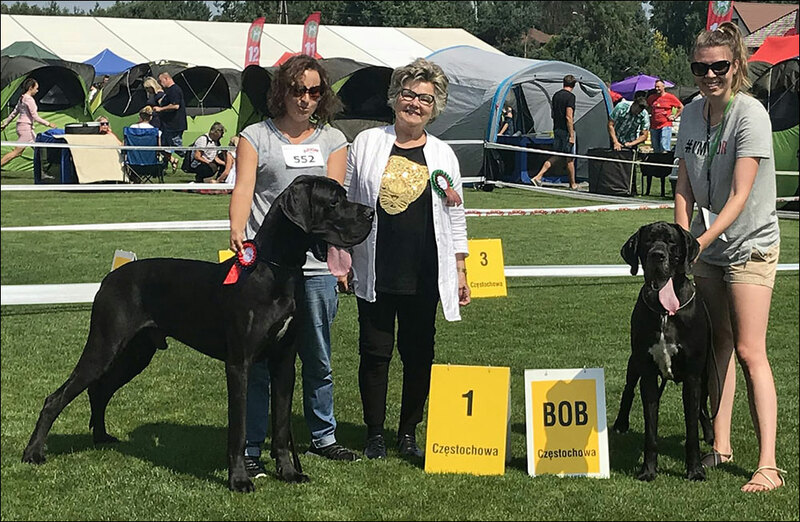 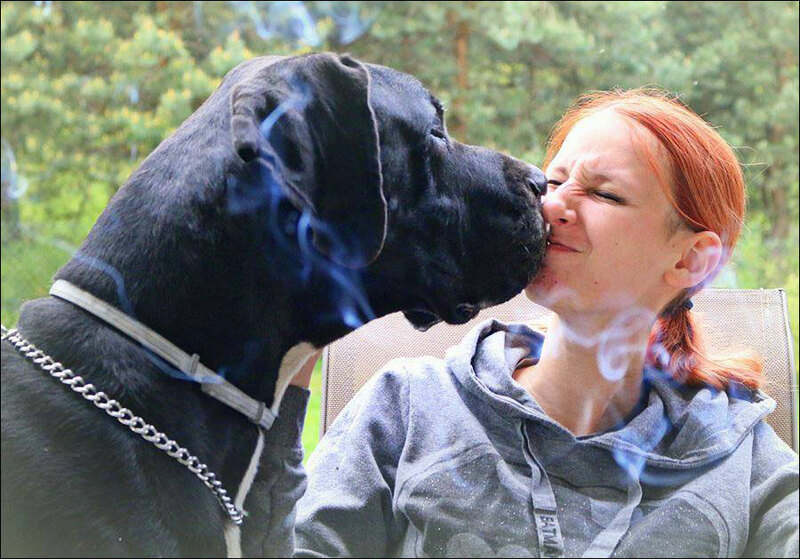 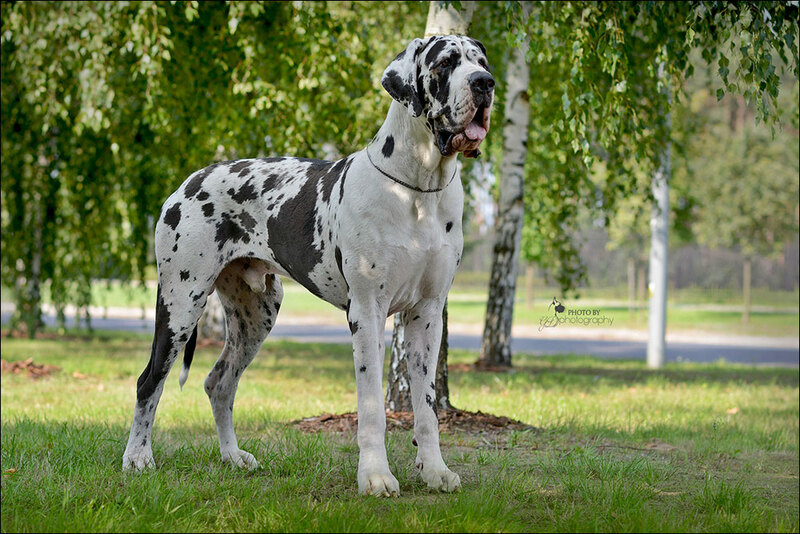 International dog show in Kielce, great danes were judges by german judge, the president of KyDD and great dane "vom Hause Wagner" breeder. 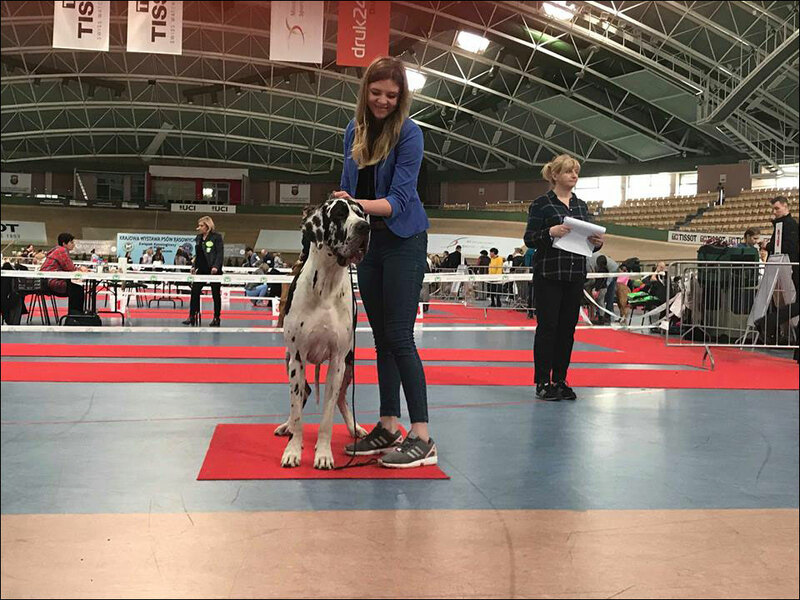 Junior class was won by Być Może HANTONI getting Junior Winner title, and his sister HATAKUMBA has won intermediate class and got CWC. 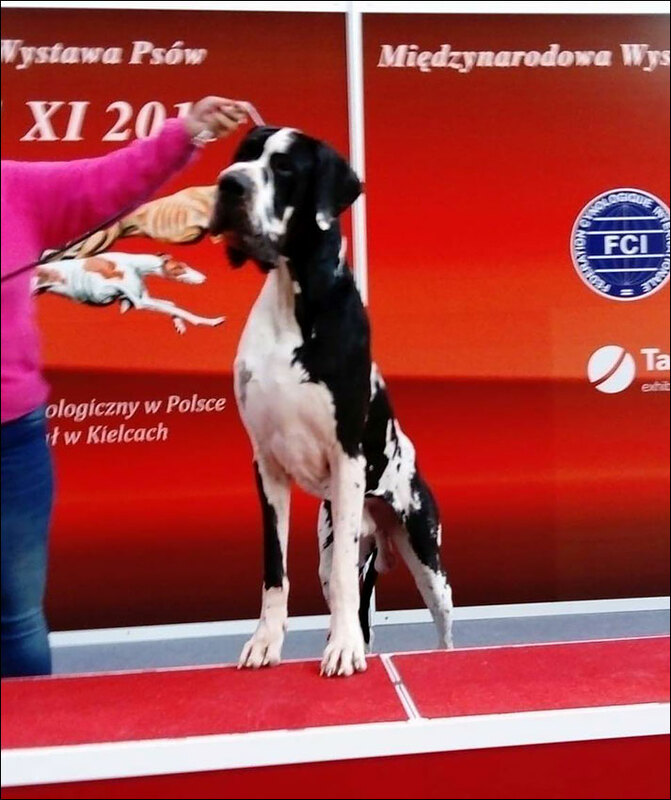 Champion class was won by GZYGZAK and with this win he has fullfilled the GRAND CHAMPION OF POLAND title!! 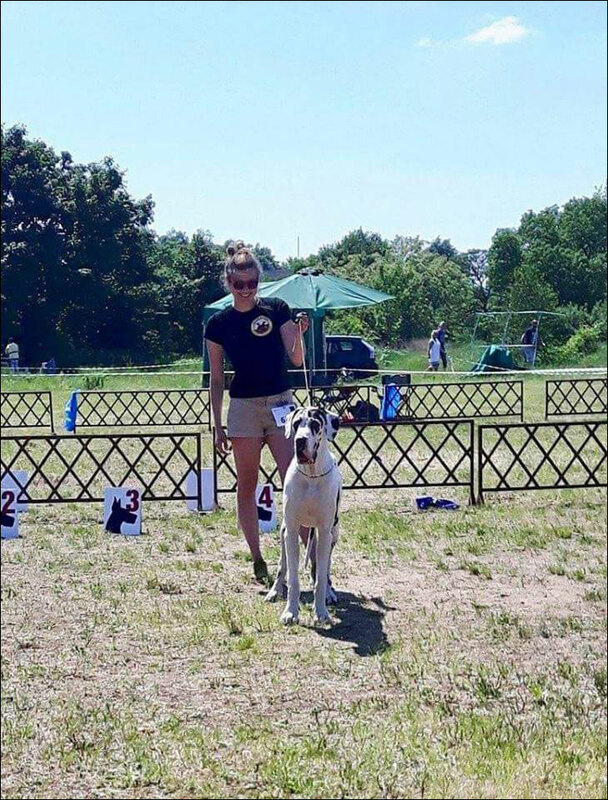 Być Może HATAKUMBA - Junior Winner, Best junior and as of today Junior Champion of Poland !! 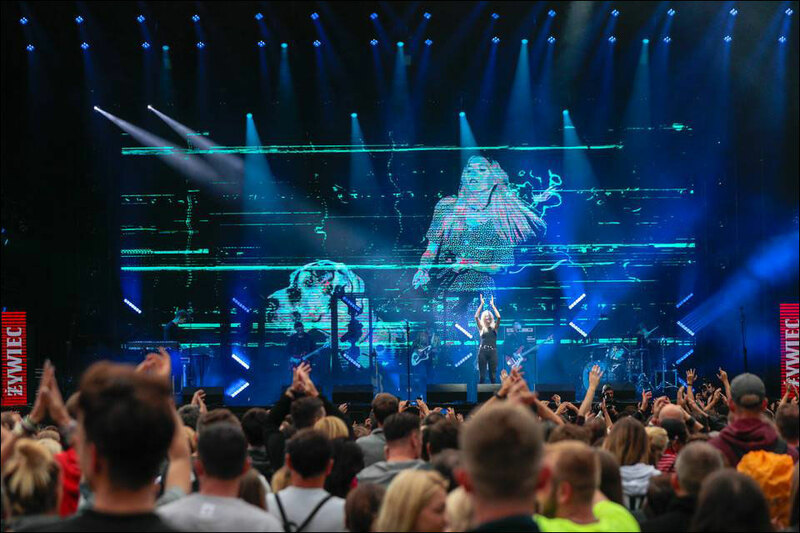 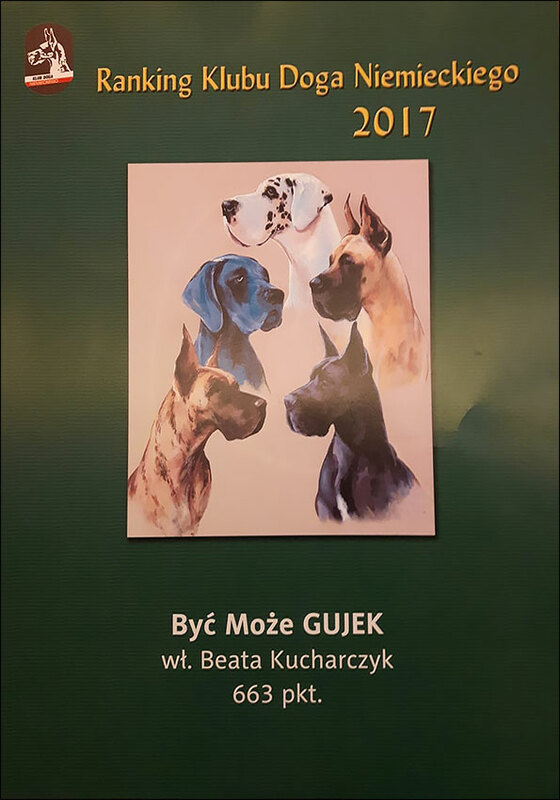 Męskie Granie 2018 - final show in Żywiec. 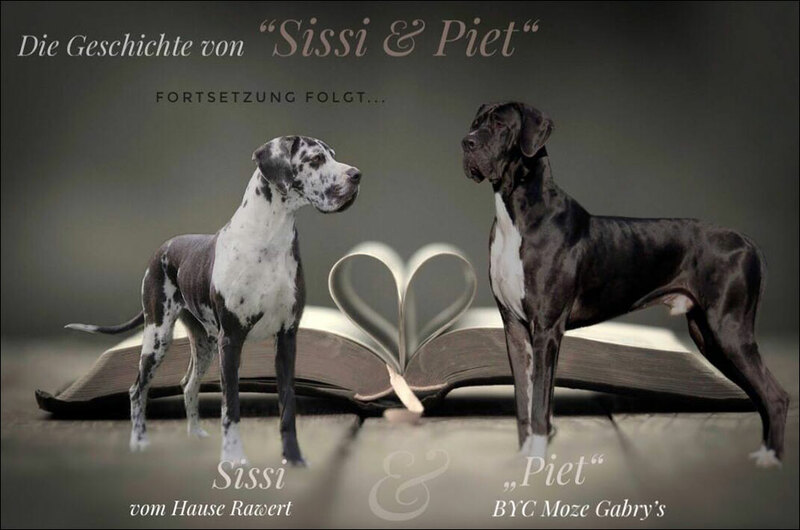 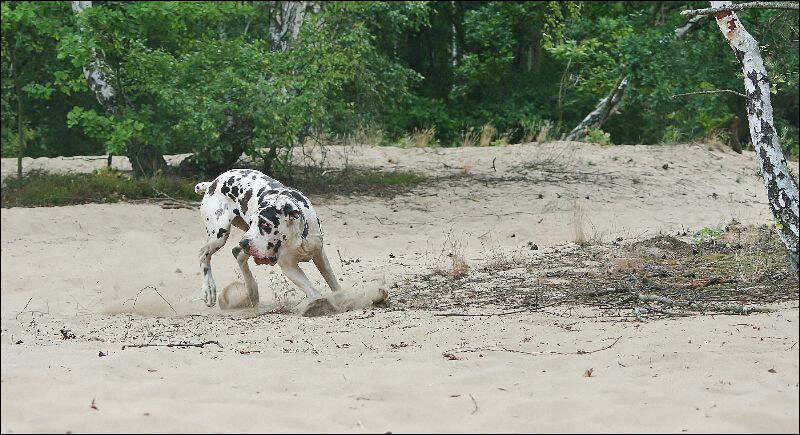 Soon in German Kennel „vom Hause Rawert” will be born another puppies after Gabrys! 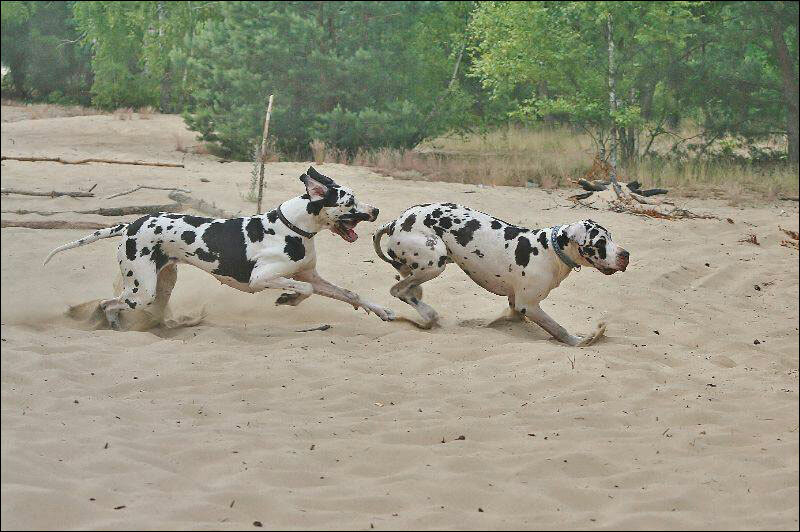 Get out of the way, danes are coming ;) Bunia and Legia at Black Lake. 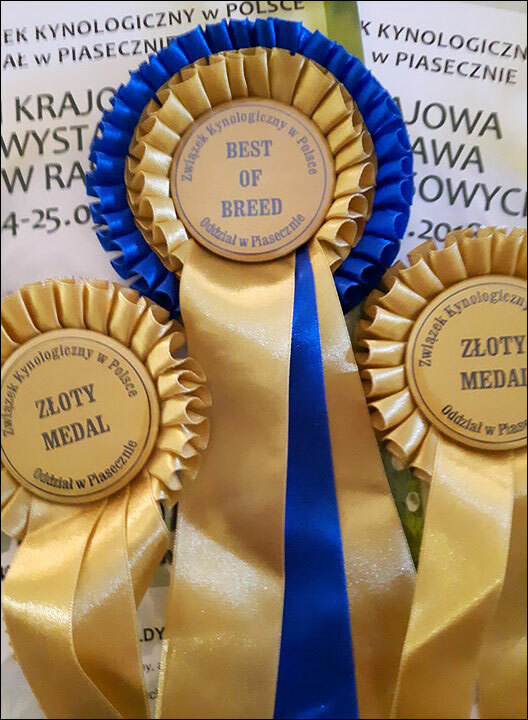 On International Dog Show in ŁódźByć Może HATAKUMBA got Junior Winner and Best Junior. 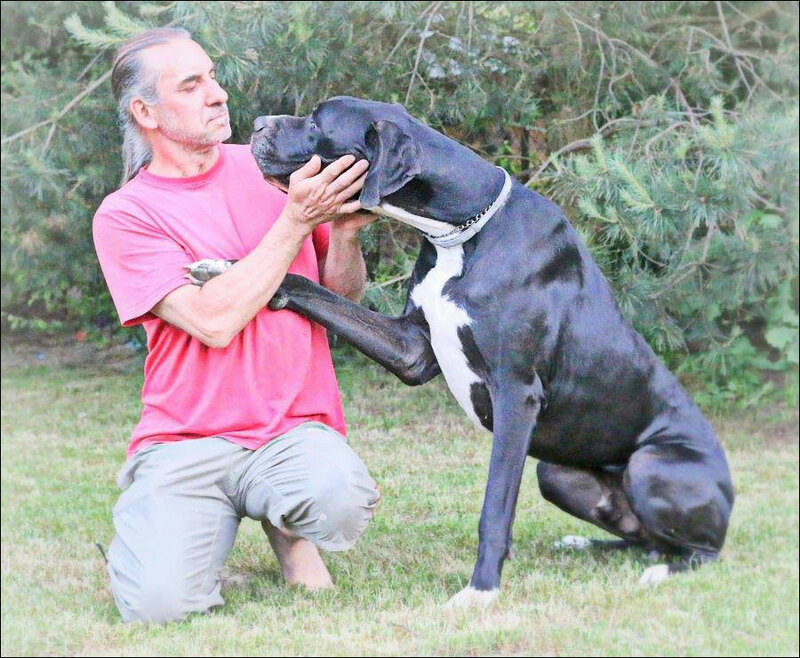 Judge Ivo Ingraffia from Italy. 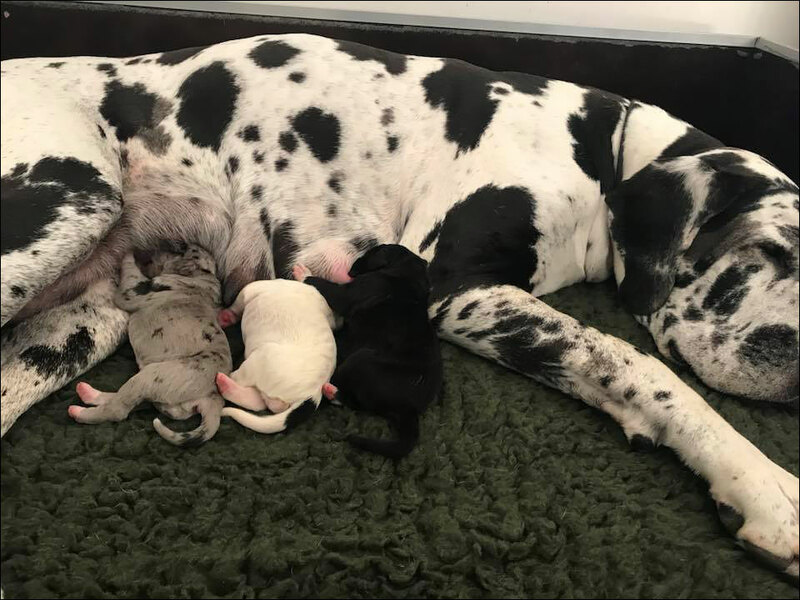 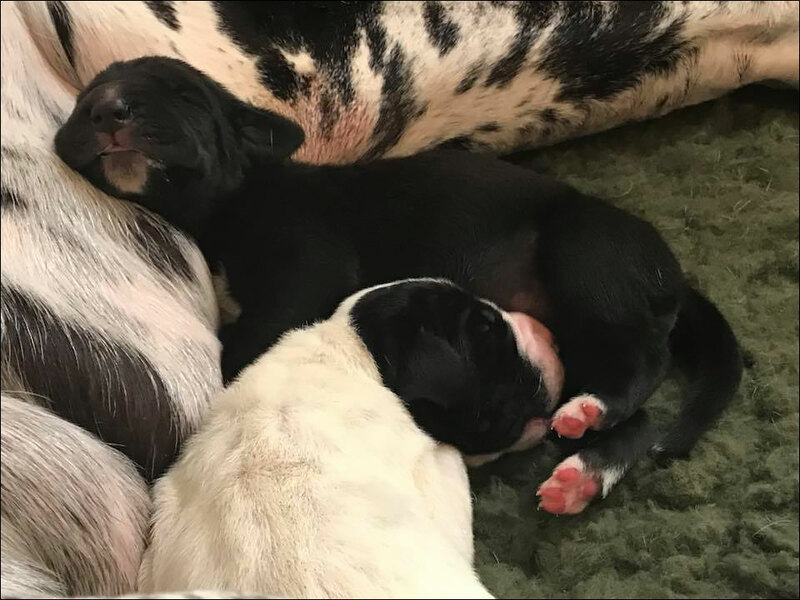 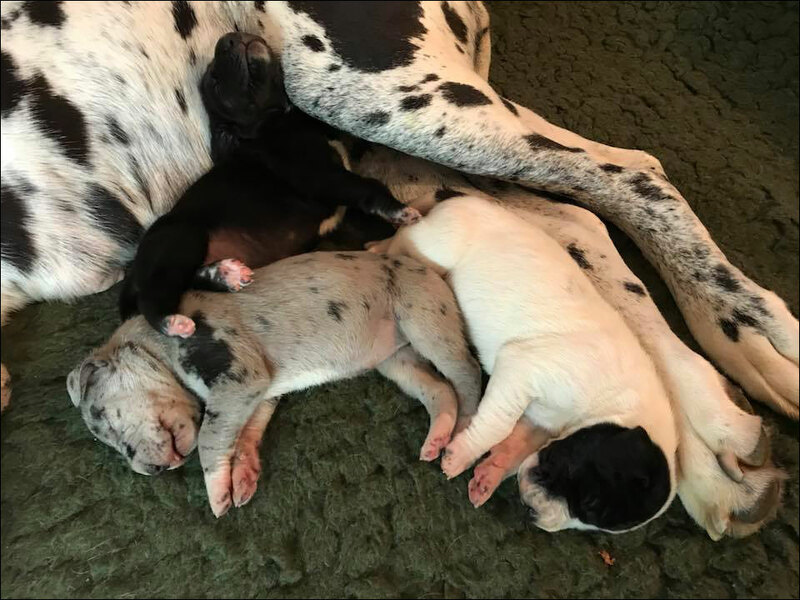 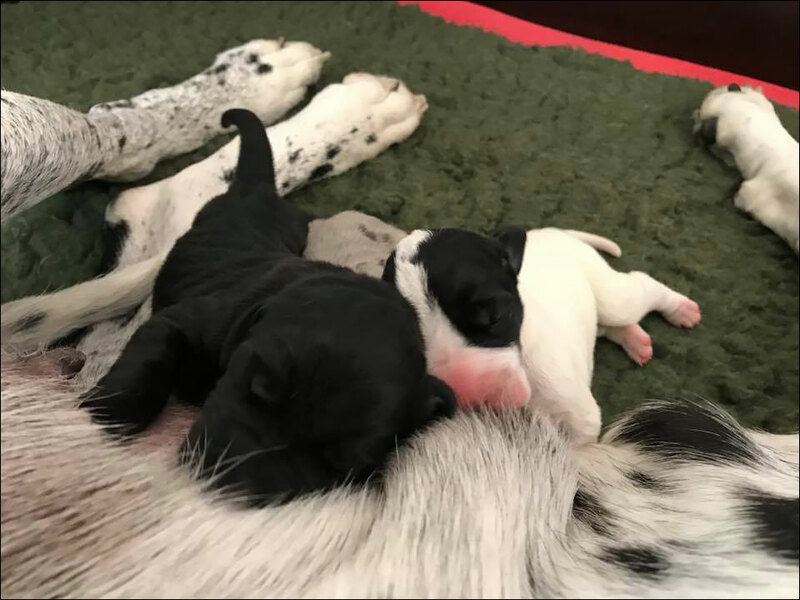 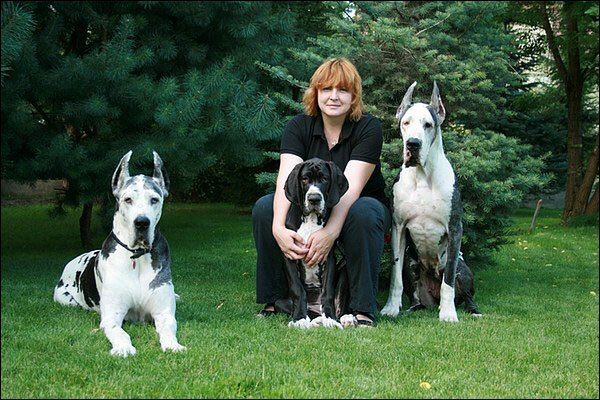 In German kennel „von ADAMANTIUM„ were born first puppies after Gabrys. 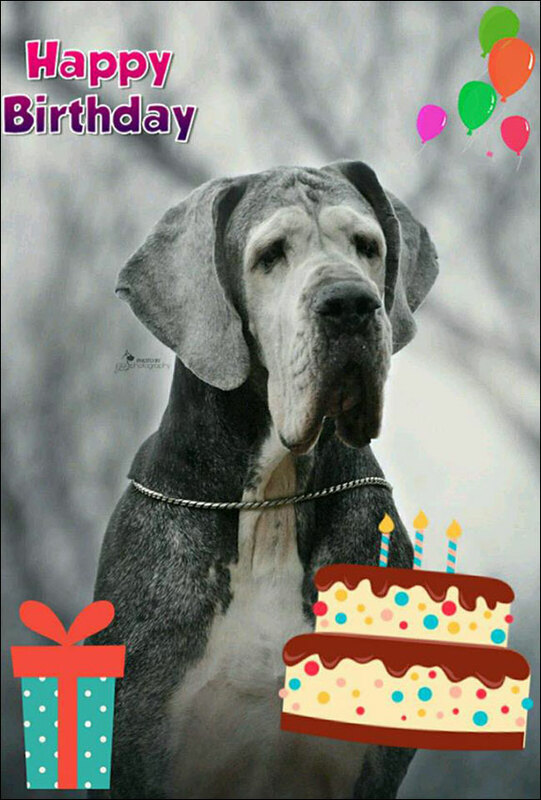 Today we are celebrating 9th birthday of Dumka!! 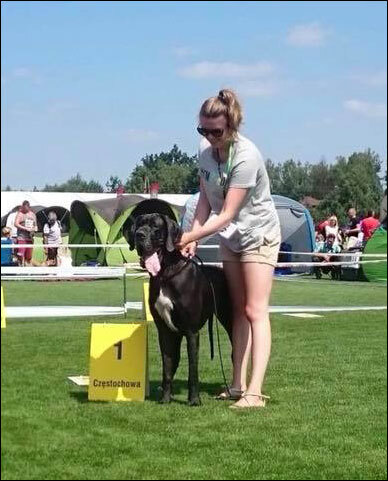 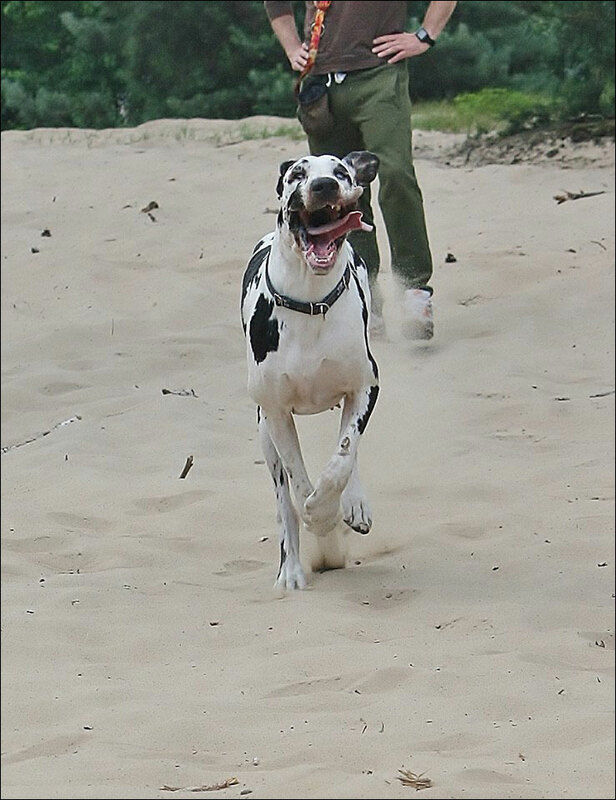 Show debut of our youngest one was held during the International Dog Show in Nadarzyn. 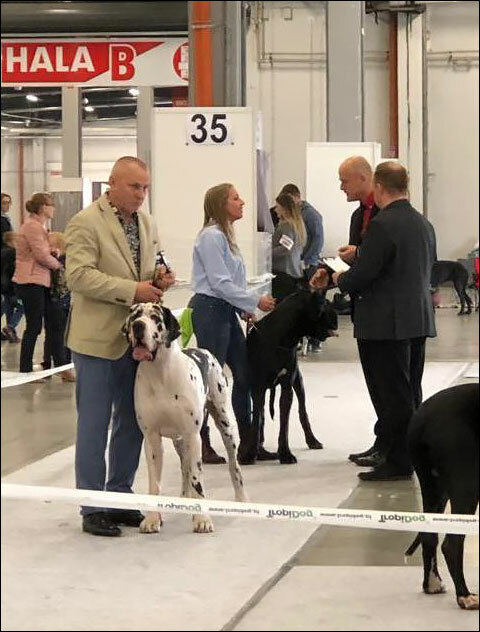 HATAKUMBA received "very promissing" nore and Best Puppy in Breed title - judge was Miroslav Vaclavik from Czech Republic. 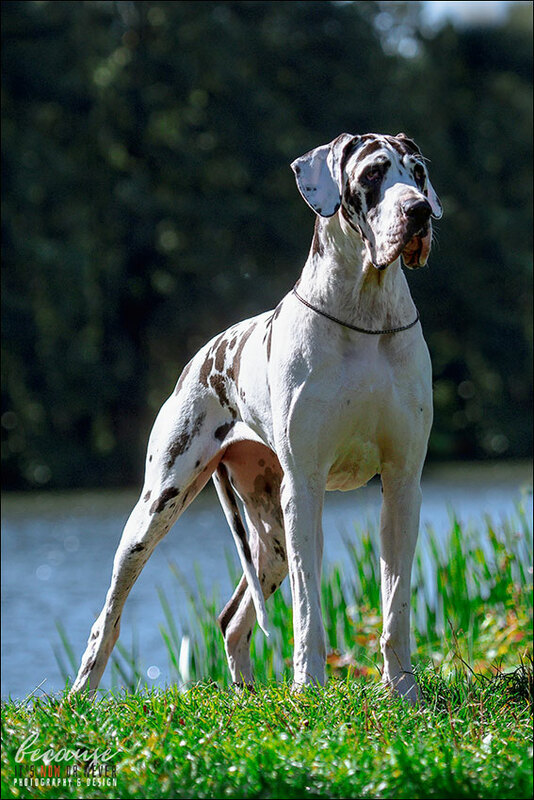 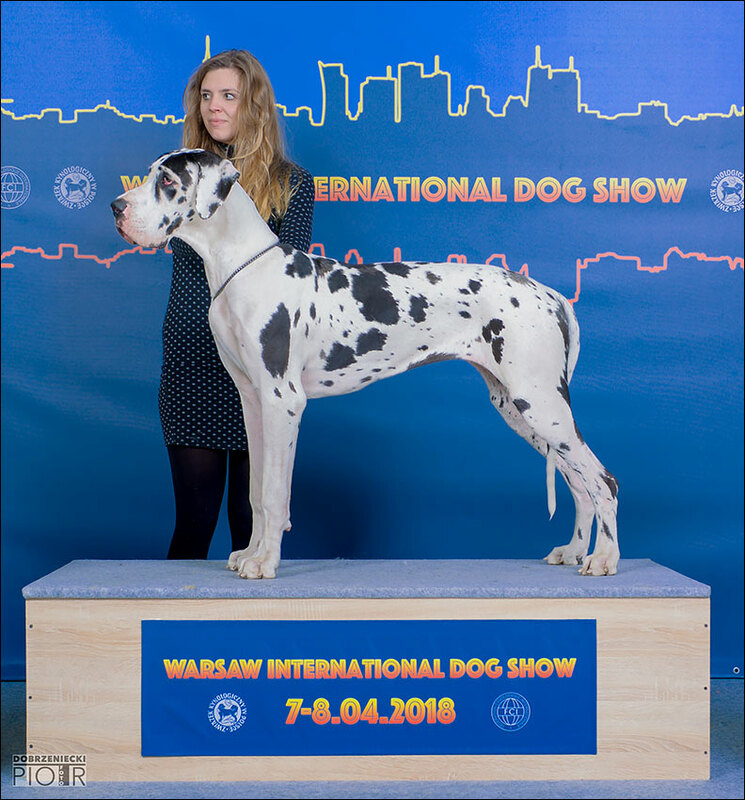 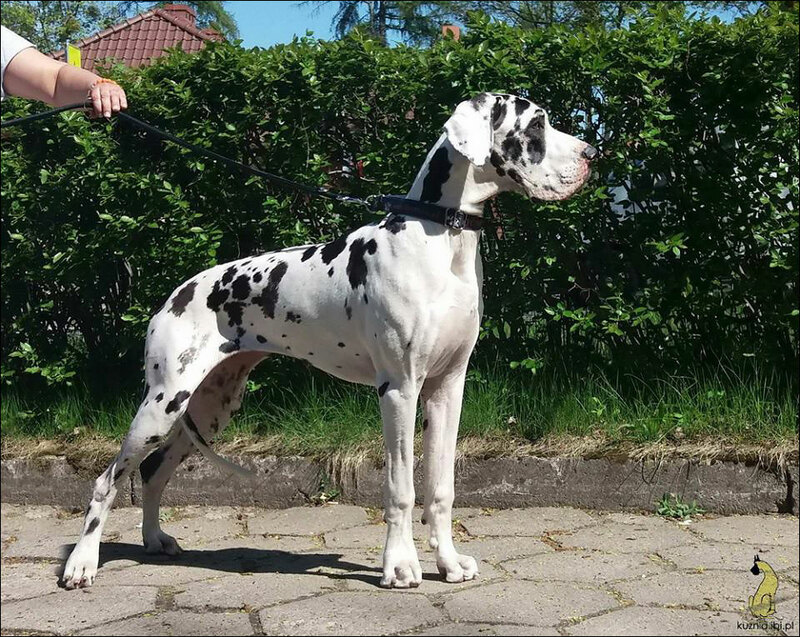 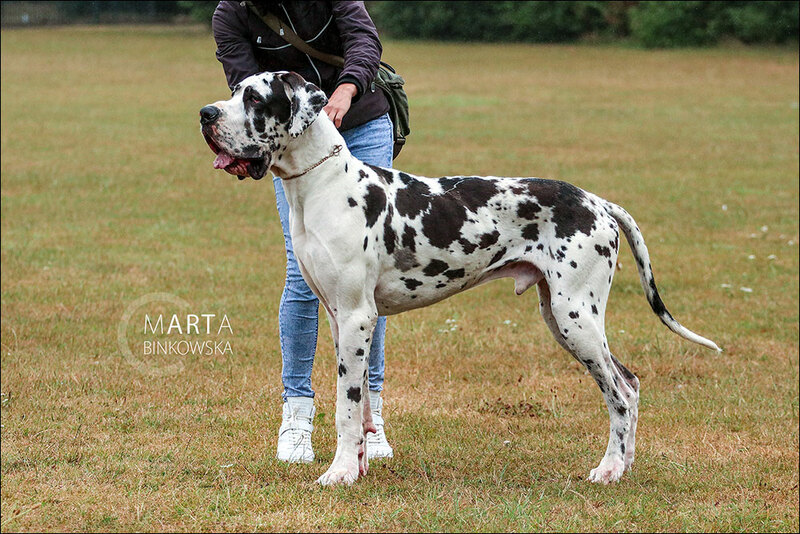 On National Dog Show in Piaseczno Gujek has finished his Champion of Poland title, and his sister Guldynka was honoured with Best of Breed title!! 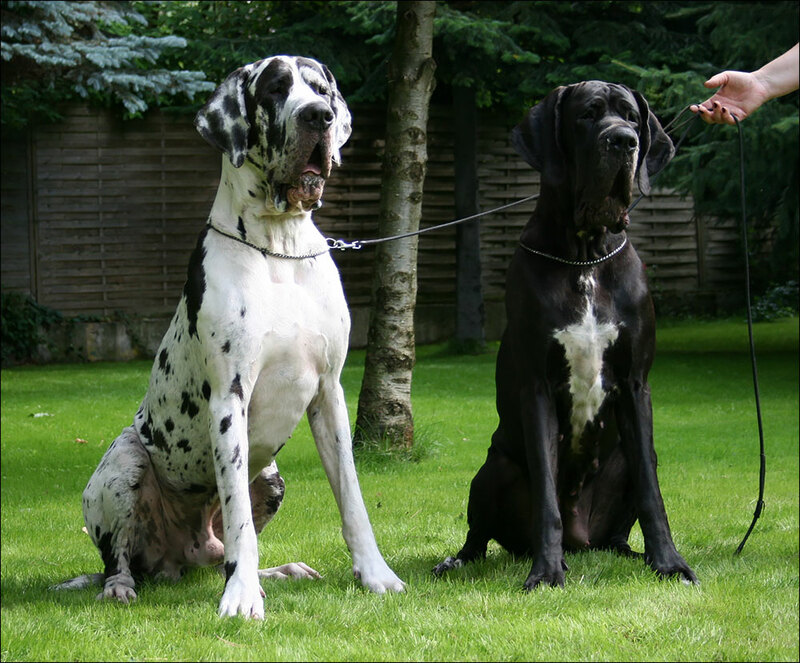 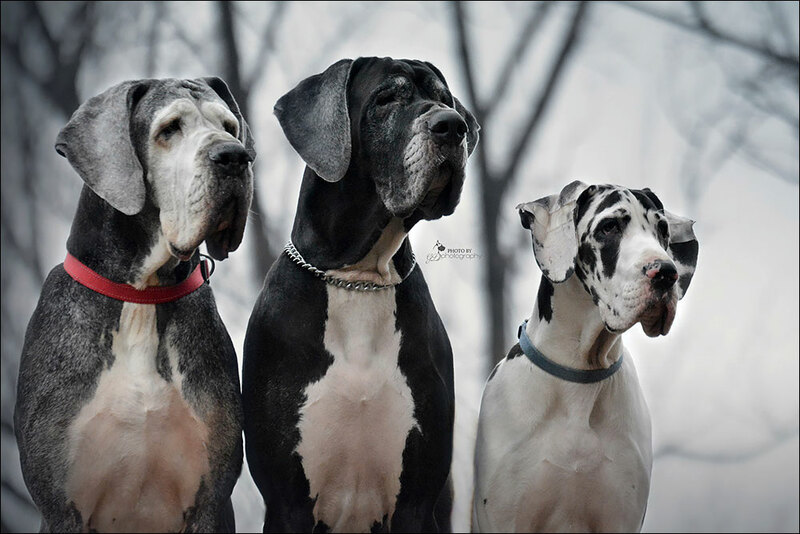 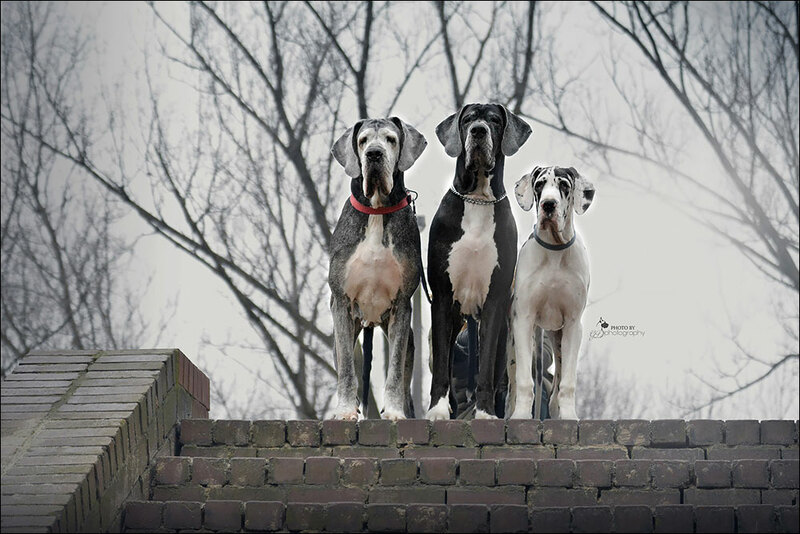 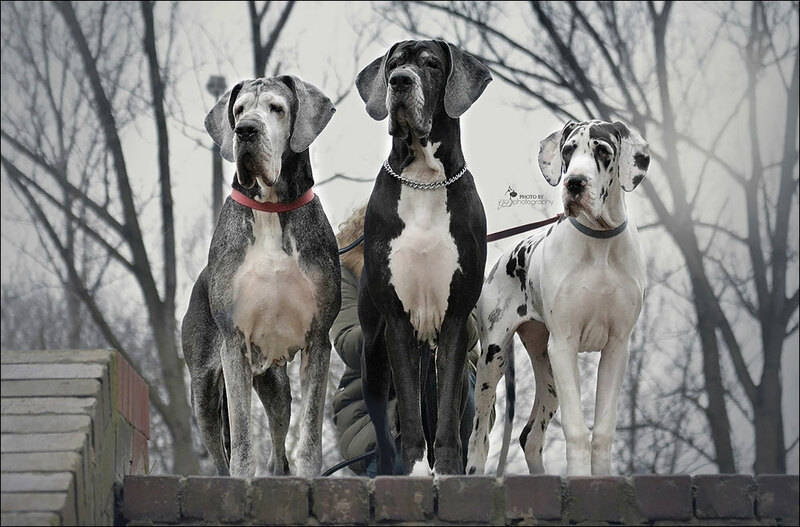 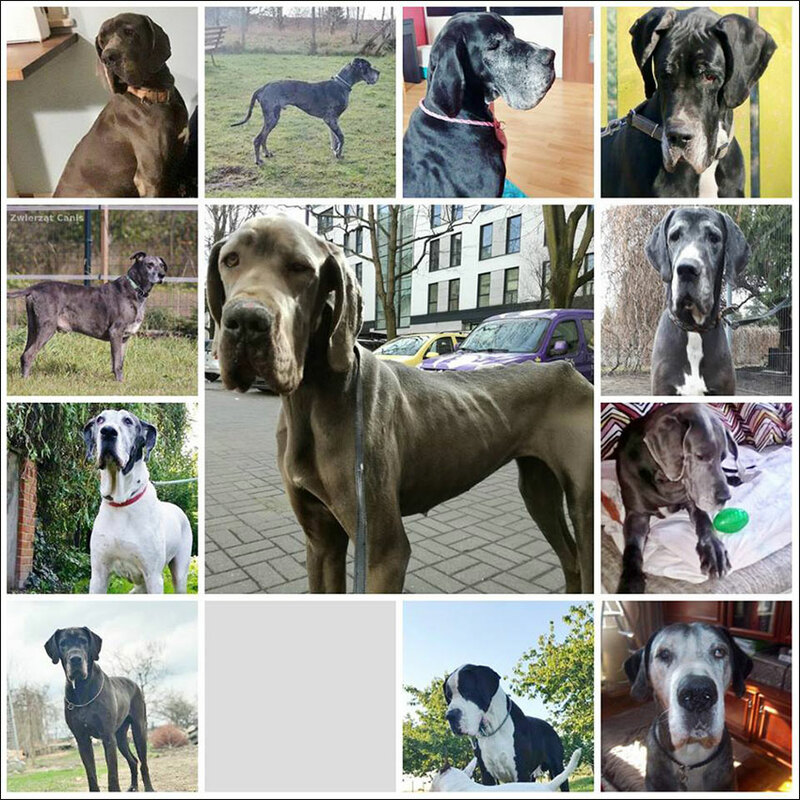 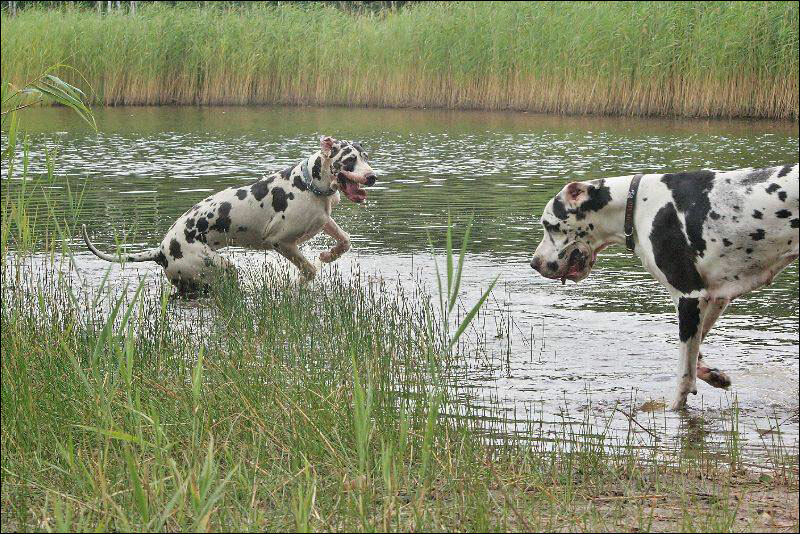 In 2009 I made photo of three generations of our danes, Dumka was back then 4 months old, and next to her was sitting her mother Italiana and founder of our kennel - Ala.
Next generation - Dumka (almost 9 years old), Fastryga (almost 4 years old), Hatakumba (5 months old). 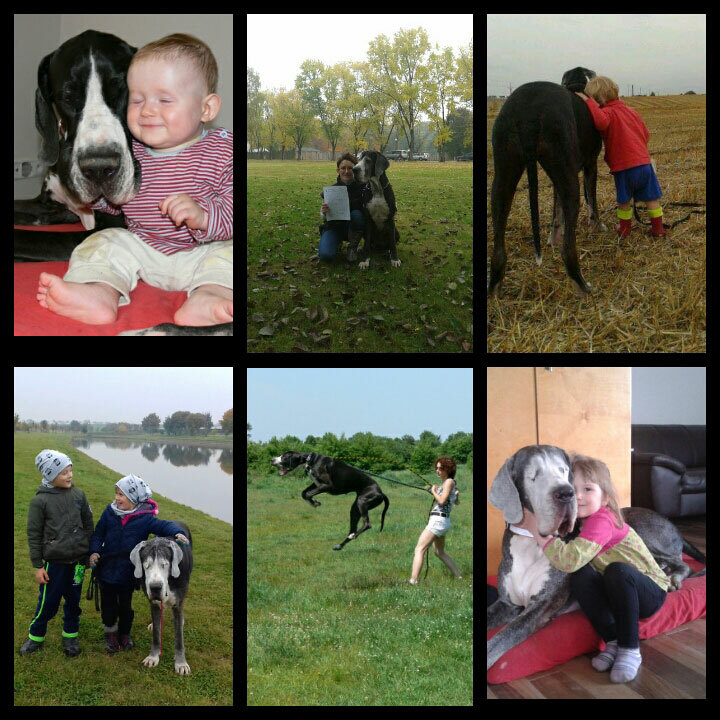 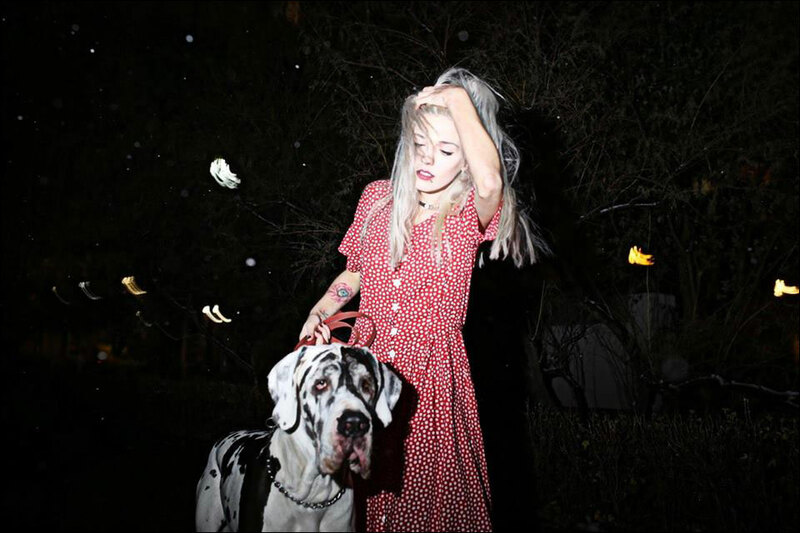 My favourite pictures!